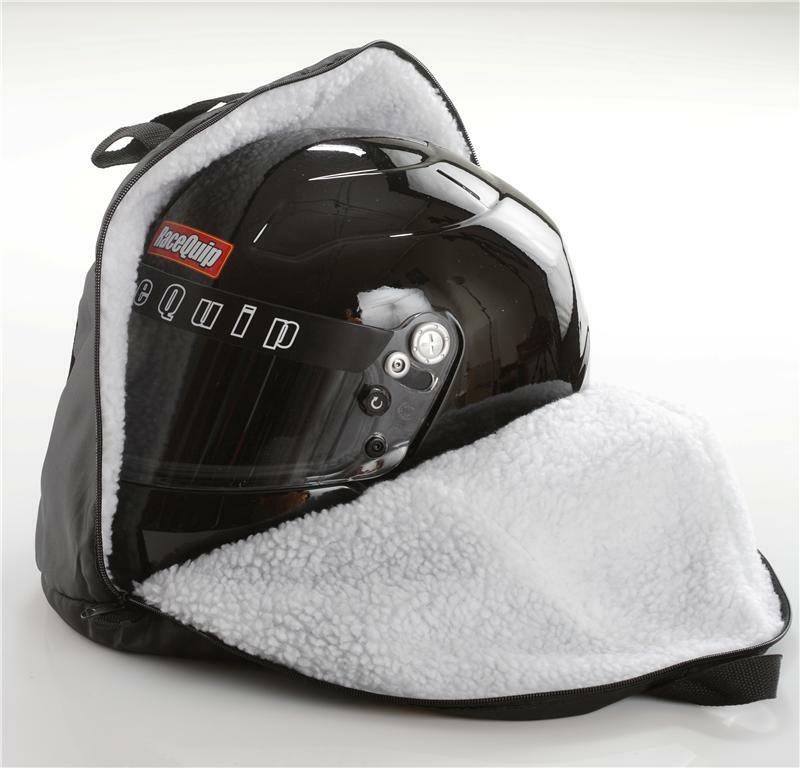 Help keep your new helmet looking good and your face shield free of scratches by using RaceQuip’s high quality helmet bag. 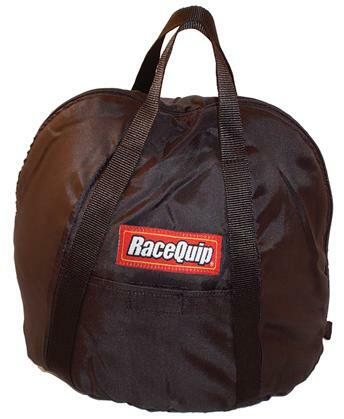 RaceQuip’s heavy-duty oversize design combines a soft fleece interior with a tough nylon exterior and features a small pocket in the front to hold extra hardware. An important feature of our bag is that the webbed nylon handles actually go all the way to the bottom of the bag for added support and strength.